← OK! We have the PROJECT!! “The Wedding”!!! 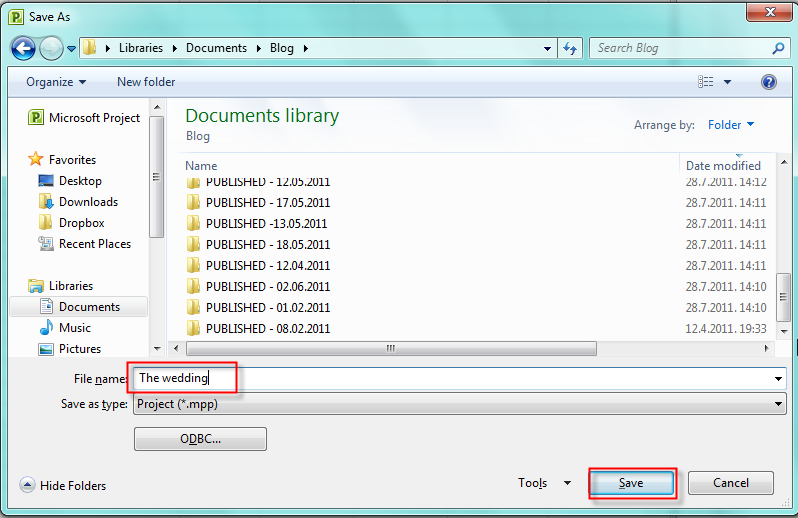 Before planning, I will set up MS PROJECT 2010 for my Project. First I will open a brand-new Project. As you can see I choose to Schedule from: Project Start Date. Why? Well, because If I choose Schedule from: Project Finish Date, all of my task will be scheduled with Start As Late AS Possible constraint, and I don’t want that. And, John and Mary (my Sponsors) don’t have a specific date for their wedding. 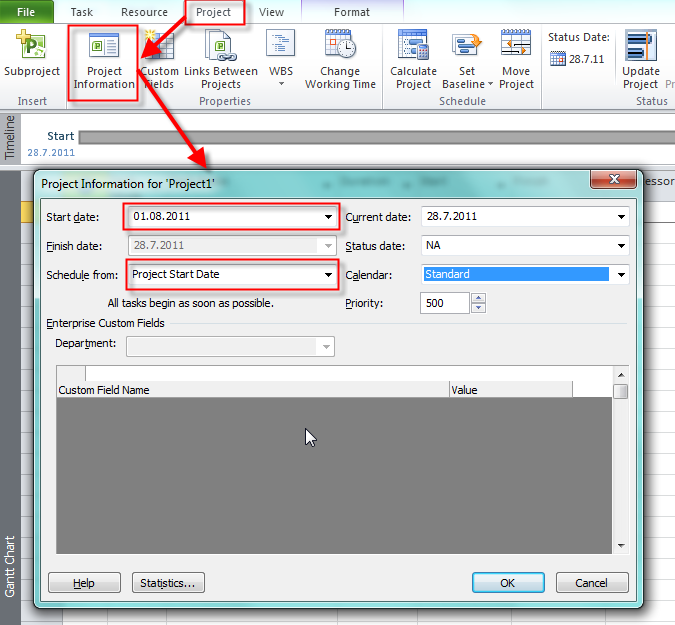 Do you want an example of Project when you have to establish Schedule from: Project Finish Date? PREPARING THE OLIMPIC GAMES, or THE WORLD FOOTBALL CHAMPIONSHIP! Why? Because when you have such kind of event, you and the rest of the world know EXACTLY when this event will start. So this Start date of the event is your Finish Date of the Project! I decide that regular working time will be from 08:00 to 17:00 with 8 hours per day, and that means that I will have 1 hour for lunch break. My week will have 40 working hours, and my month will have 20 working days. 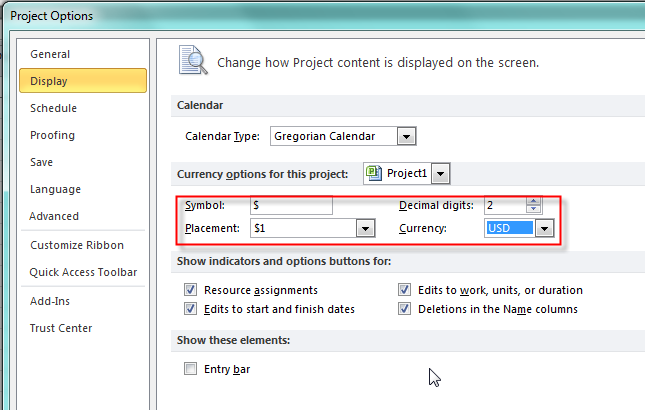 I decided that every new task created will be in Manually Scheduled mode (an that is a brand-new feature in MS PROJECT 2010, and when I add new task in Auto scheduled mode it will have default Start Date same as the Project Start Date (which is 01.08.2011). The another option is Current Date. 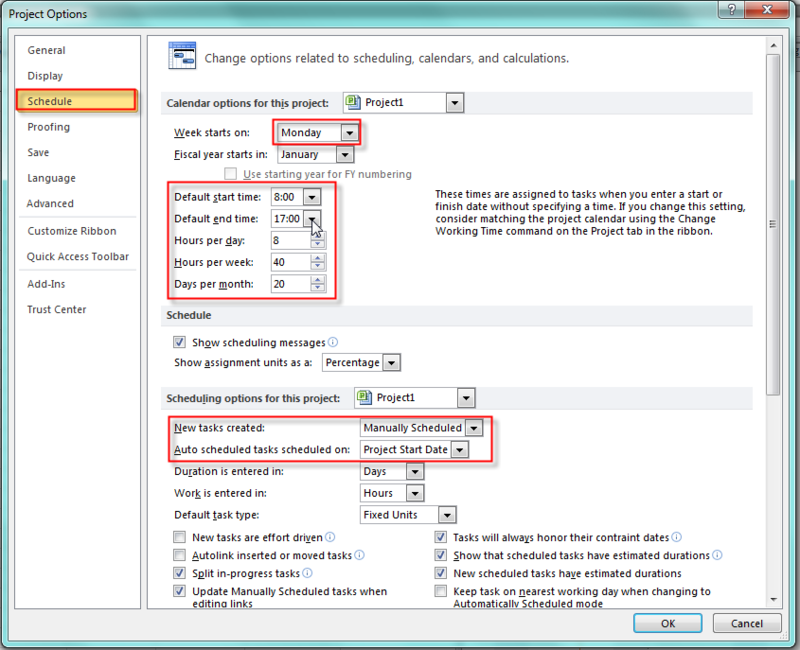 You will se in my future posts how this working time is in correlation with Project, Task and Resource Calendars. That’s all for initial set up! 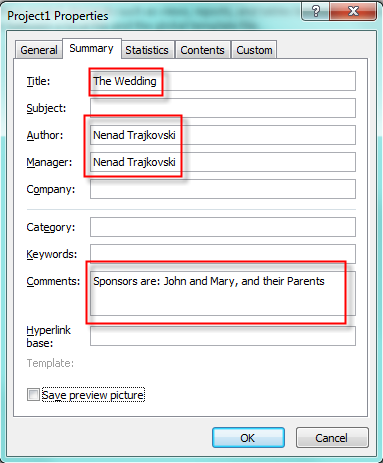 This entry was posted in MICROSOFT PROJECT, Microsoft PRoject 2010, MS PROJECT 2010, PMI, PRoject Management and tagged Micrrosoft Project 2010, MS PROJECT, MS PROJECT 2010 - SET UP, Project Management. Bookmark the permalink. This is quite elaborate and helpful. Thanks a mil. 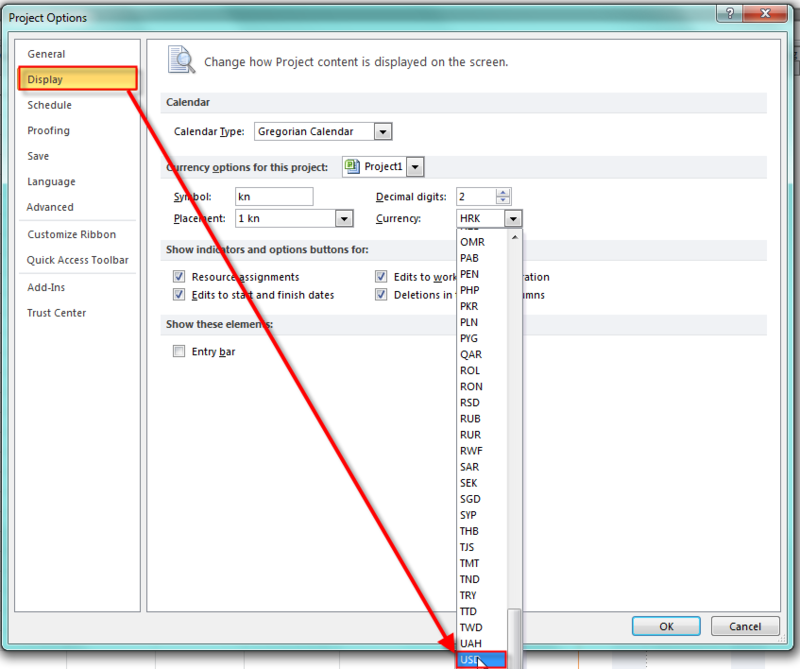 Thanks, is there a way to change the default calendar so that every new project is created with the predefined working time? Yes. You can make your own Calendar (recommended), or mmodify existing one (not recommended), and make a Template! An intriguing discussion is definitely worth comment. I believe that you need to publish more about this subject matter, it might not be a taboo matter but usually folks don’t discuss such issues. To the next! Many thanks! !